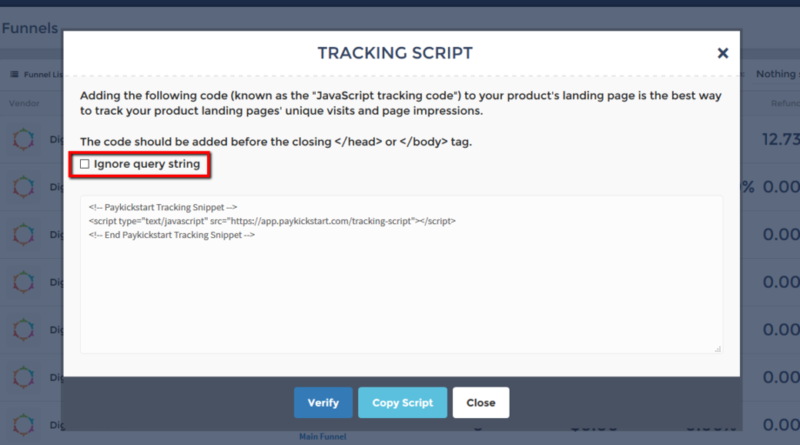 In the example case above, if you do not enable the “ignore query string” option, the Paykickstart tracking script will attempt to match the entire URL including the added tracking fields as your landing page URL, and since that is not actually your landing page’s URL, it will fail to record that traffic. Since there are cases where you may not want to “ignore query string”, such as if your landing pages use querystrings in your actual landing page URL, this is a user-configurable option. Why is my traffic not tracking in Paykickstart?